Home 2018 Happy New Year 2018!!! Favorites post & Self reflection! Happy New Year 2018!!! Favorites post & Self reflection! A very Happy New Year 2018!!! 2017 was a terrible year for a lot of people due to so much violence, a certain presidential election result :P and many other such things. But personally, for me, 2017 was a year of self-reflection. I learned so much about myself and accepted things about myself that I did not like. And that acceptance just gave me this new awareness that you just have to be YOU! Not more than you know, not less than you know but just you! Acceptance was something that I just resisted for the longest time. But as they say, whatever you resist persists! Once I understood the core of this and saw how I have in the past resisted things and those things still persisted, I started accepting things. Now accepting things doesn't mean you just say the word out loud and the job is done. NO. It means looking at things the way they are and just accepting it. No delusions, no resistance, no excuses. Yes, I accept I am stubborn, I am overweight, I get negative sometimes, I have a crush on a terrible person. Once I started accepting these things in me, I somehow started having more confidence in me. These things are still a work in progress for me but now I am not insecure because of it. Things are the way they are and I accepted them. Anywho I am much more hopeful of 2018 and all that it will bring with it. Since this is a beauty blog at the end of the day, I have shared here my most loved, most used and most favourite products of 2017. May 2018 bring me much more makeup and many more favourites. Maybelline : There is a reason every girl owns at least one Maybelline products. They are just that amazing and affordable. I have emptied the entire bottle of the Maybelline Fit Me foundation in 320 Sun Beige. Used the Maybelline compact (shell) almost every day and I am now on my 4th one. Loved how lovely my lashes look in the Mascara. I who can forget the creamy matte lipsticks. My favourite was Lively Violet. Nykaa: This brand has become one of my favourite brands. I absolutely love the Nykaa Nail paints and wish to own the entire nail range that they have. 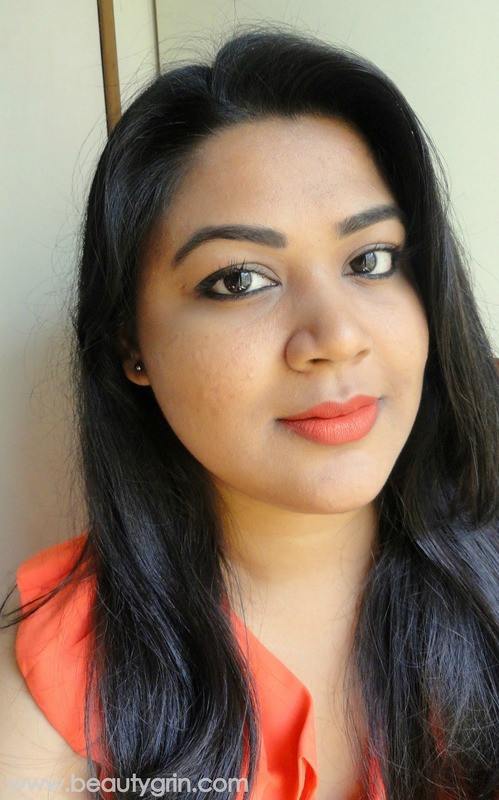 The Nykaa foundation was a surprise product for me. I love it to bits. The crayons have insane pigmentation and amazing colours to choose from. Nicka K Liquid Lipstick in Millbrook is the most comfortable liquid lipstick I have ever used. Lakme 9 to 5 Weightless Lip Color in Rose Touch was used almost everyday, even the days I was home. Blue Heaven Sketch Eyeliner beats every other sketch eyeliner in all aspects. Batiste Dry Shampoo was a life saver when I need to go some place important yet didn't want to wash my hair. Faces Lip Crayon in Midnight Rose deserves an award for the most beautiful shade ever! Kara Nail wipes is the only reason I change so many nail polishes. Colourpop Liquid lipstick in Tulle is amazing. Makeup Obsession Contour powder was used to contour as well as in a quick eyeshadow look. MUA blushes were used whenever I had to go out and Freedom Brow Pomade in Ash Brown is now a staple in my stash. All Good Scent perfume in Chic was loved and cherished with all my heart! 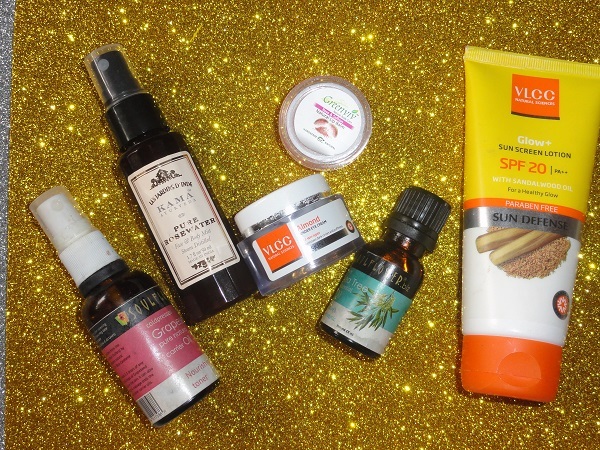 And since I have acne prone sensitive skin, I have very few skincare products which I stuck too which have behaved quite well. As you can see, a lot of the products mentioned here are not reviewed. Number 1 reason being they being constantly being in use. I will try to review most of these. But if there is any specific product you want me to review, them comment below!